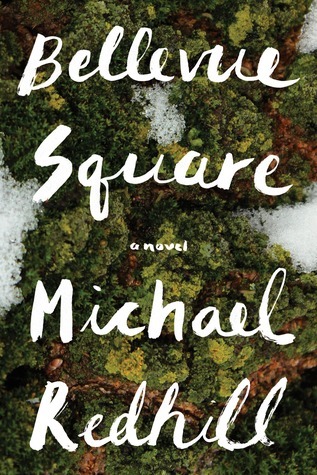 Congratulations to Michael Redhill whose novel Bellevue Square was named the winner of the 2017 Giller Prize last night. And, as many of you probably already know, Bellevue Square was also the winner of the 2017 Shadow Giller. If you’re interested in finding out how we came to our decision, you can read about it here. To see a replay of the Giller event, as well as a video of Michael Redhill’s speech visit CBC Books. That’s the end of the Giller Prize season for another year. We hope you’ve enjoyed following our Shadow Giller proceedings, reviews and tweets over the past two months. We’ve had a brilliant time doing it and read some wonderful books in the process. Thanks so much for your support! See you next year. Which book would you like to see win the prize? Trucks play a big part in this story of a rural Acadian couple who have been together for almost 20 years. The only thing Réjean seems to love more than his wife, Agathe, is his black Chevy Silverado. Agathe noticed that Réjean had been acting out of character lately, but she had just thought he was planning a surprise for their 20th anniversary. To Agathe, and to the reader, they appear to have a solid marriage. In fact, they feel so close to each other that they choose to hole up alone in their out-of-the-way cottage, holding onto their French language, despite the fact that they are now living in an English town. When you’re that close for that long, what do you do when one half of you disappears? The story alternates between the past and the present. In the “now” we follow the story of Agathe after the sudden disappearance of her husband; her bewilderment, her hurt, her grief, and finally her need to carry on. In the “then” we follow the story of Réjean and what happened to him on that fateful day, and the events that led up to it. Réjean meets Martin at the Chevy dealership where Martin works. Martin sells Réjean’s new trucks to him every year when he goes in for the newest model. Réjean is loyal to Chevy trucks and assumes this is something the two of them have in common. He comes to enjoy going by the dealership from time to time to share a rum and chat with Martin; and, as a shy and awkward man with no friends, Martin looks forward to it. Being his only real friend, Réjean’s disappearance has a profound effect on poor Martin… who secretly drives a Ford. When riding in the truck together, Agathe always let Réjean listen to his French folk music. It was fine, but she longed for “something loud to release the strap of tension in her jaw”. When Agathe meets Debbie, after the disappearance of Réjean, Debbie introduces her to rock and roll. And Agathe loves it. They play it loudly on their way to work, singing along on the radio. Debbie also teaches her to drive and takes her out to the pubs. Despite her grief, and her longing for Réjean to come back to her, Agathe’s life was opening up. Rock and roll had a way of putting itself on you, so that you were wearing whatever was being sung. All the abandon and rage and torment and heartache. Everyone here was wearing it. Réjean’s music didn’t do this. 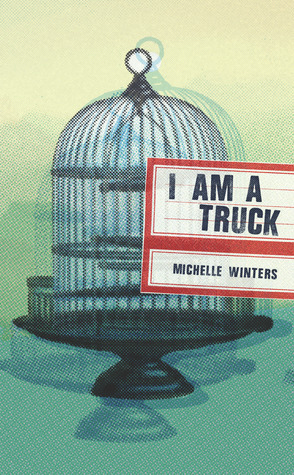 I Am a Truck explores identity, how we define ourselves in relation to others, and how that definition can change when the the ones around us change. To see this review in full, visit Consumed by Ink. Our Shadow Giller winner is in the process of being decided… stay tuned! We’re getting closer to the big day. In the meantime, while Kim and I are finishing up our reading and reviews, here are two more from the longlist. First, another review of Next Year, For Sure. You can read Kim’s review of it here. 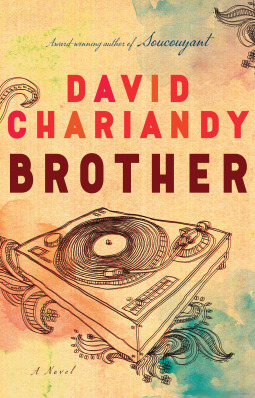 Second, a review of Brother, which I’m thrilled to say is the winner of the Rogers Writers’ Trust Fiction Prize! For a book about open relationships, this story is not as steamy as you might think (or at all, really). Instead, Peterson focuses on the psychology of it all. What does this kind of relationship look like, how do the characters feel about it, what are their long-term hopes, and how did they fall into it in the first place? This was a fast-paced read for me. From the first page I was completely absorbed in the unconventional situation Kathryn and Chris got themselves into, and hoping for the most painless outcome. It all starts when Chris mentions to Kathryn that he thinks he has a crush on Emily. Well, we all get crushes, right? We just don’t act on them, and they usually fade away. But instead, Kathryn thinks there must be something Chris needs that she’s not able to give him. And if she loves him, shouldn’t she do everything she can to make him happy? So she tells Chris to ask Emily out on a date. He needs something. Is Kathryn going to be the person to stand in his way? Love isn’t I love you so much that I need to possess you and control you and be the source of all your happiness. Love is I love you so much that I want you to have everything you need, even when it’s hard for me. Kathryn’s heart seems to be in the right place, but things don’t go as easily as she thought they would. She feels jealous, but pushes through and urges them on. She even becomes friends with Emily herself. She isn’t being exactly fair, she knows, snapping at him like this. The date was Kathryn’s idea. And she wasn’t going to be this way. She was going to be cool and evolved, like a Joni Mitchell song. She was going to be magnanimous. Who is she to sit here with pie in her mouth and say life is miserable? She has everything. She has more than anyone needs. And yet she is jealous? Greedy and grudging and unwilling to share? No, that must stop. To read this review in full, please visit my blog, Consumed by Ink. To read the review in full, please visit Consumed by Ink. What about you? How is your Giller reading going? Any preferences? This review was originally posted on my blog, Consumed by Ink. Please visit for further reading suggestions. Right off the mark, Kim wants to make something clear about both Outline and Transit. 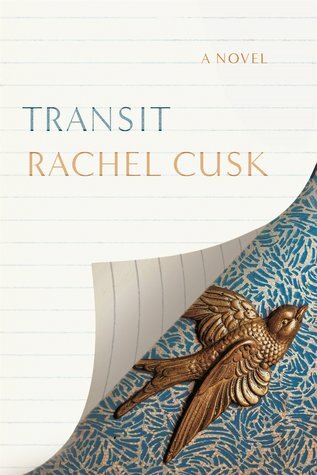 Let me get one thing out of the way: when Rachel Cusk’s Transit was named on the 2017 Giller Prize shortlist my heart sank. That’s because I’d read her previous novel, Outline, when it was shortlisted for the same prize in 2015, and I didn’t much like it. Knowing that this was a follow-up, I expected I probably wouldn’t like this much either. I was right. There’s no real plot. The narrative revolves around a series of interludes or interactions that the narrator makes with other people — a varied cast including an ex-boyfriend, a builder, one of her students, an unmarried friend and her hairdresser — as she goes about her day-to-day life as a creative writing tutor. This lends Transit more the feel of a collection of short stories, rather than a novel. This unusual structure does achieve one thing: it slowly builds up a picture of Faye, a passive character who doesn’t shy away from casting judgement on other people. She’s often full of cod philosophy and is (wearily) opinionated, but she’s not particularly endearing. She finds the main character to be “aloof” and “passive”, and the writing feels “contrived”. Did she like anything about it? Despite this, I did enjoy specific chapters (the one set in the hairdressing salon was strangely engaging), but overall I found Transit to be a chore to read and I came away from the entire book feeling mostly ambivalent about it. The title for Minds of Winter comes from The Snow Man by Wallace Stevens, which I thought was fitting. Most of the characters in this book are drawn to the polar regions of the world. No sooner have they gotten back from an expedition and they’re off again, despite the very real dangers. Many press on even after near-death experiences. I can’t help but admire them, and is perhaps one of the reasons I enjoy reading about them. Minds of Winter is filled with information on polar exploration; the who, what, when, where, why, and how. The amount of research must have been incredible. The book is divided up into sections, starting with Sir John Franklin and Captain Crozier in Van Diemen’s Land in the 1840s, and ending with Captain Hugh Morgan at an airforce base on Baffin Island in the 1950s. Other non-fcitional characters include Charles Francis Hall, Joseph Bellot, Robert Scott, Lawrence Oates, Roald Amundsen, and Cecil Meares. And of course the Mad Trapper of Rat River, “Albert Johnson”. There’s also a chapter narrated by Ipiirviq/Ebierbing/”Eskimo Joe”, a widely traveled Inuit guide and explorer. Interspersed with the historical accounts of the explorers is a present day thread. Nelson and Fay have come to Inuvik, NWT for different reasons; Nelson to visit his brother, and Fay to look for clues about her vanished grandfather. They meet accidentally at the airport, and soon discover that there may be an historic connection between them. I have no problem with Nelson and Fay’s part of the story. It definitely needs to be there. But I couldn’t help but feel like they were just tokens. As characters on their own, they weren’t interesting to me; they were only useful as ways of discovering new information. But I did enjoy reading about the setting of Inuvik and surrounding area. Take a look at this community greenhouse! Each section of the book is fascinating and informative on its own (as well as the maps provided at the beginning of each), but together they make up part of an even more satisfying puzzle of a story. At times I found it hard to keep all the characters and story-lines straight, and often found myself flipping back to previous chapters. (I found it worked best to read each section without interruptions.) But it’s well worth it for readers who enjoy a challenging read, or who are interested in historical fiction. Amundsen, who had dreamed all his life of claiming new lands for his new country, had been dreaming of something that did not exist. This was his last expedition, and he spent it sitting on a chair and staring out of a plastic window. Another first for Amundsen, thought Fay, turning away from the computer screen: that’s how we all do our exploring now. While I was reading, two very different books kept coming to mind. The first, most obvious one, is The Voyage of the Narwhal by Andrea Barrett. Barrett’s story takes place shortly after the tragedy of the Franklin Expedition, when ship after ship were being sent to the Arctic to find clues/survivors/remains. The second is Do Not Say We Have Nothing by Madeleine Thien, the 2016 Giller Prize winner. Both books cover an impressive amount of material, and I’ve seen the words “scope” and “ambition” used to describe both. Also, in both books, the historical parts of the book are anchored by the thread from the present. 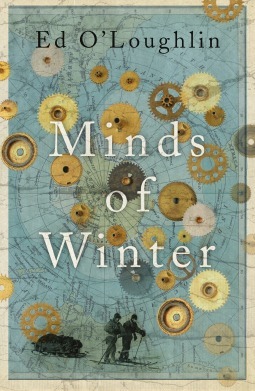 However, Minds of Winter doesn’t pack the emotional punch that Thien’s book does. I didn’t feel as attached to O’Loughlin’s characters as I did to Thien’s. Minds of Winter feels more information-packed, and like putting together a puzzle. One that I’m still not sure I have figured out. The little town of Stromness turns its back on the harbour from which it was born. Grey stone houses face a single long street, showing blind gables to the sea. Bewteen the houses, narrow alleys sneak down to the private piers and slips that are hidden behind them, as if the sea were a family secret which everyone knows but no one acknowledges. And it brings to life the people who have risked their lives for the opportunity to increase our knowledge and expand our maps. No one replied to him. And in that silence Bellot was seized by a queer kind of vertigo, an inward spinning and trembling. He saw at last that this journey might prove treacherous in ways he had not previously understood. Well, he would chart his islands carefully. He would check and recheck his instruments, take diligent temperatures and bearings, be doubly and trebly sure of his path by ship and boat and sledge. And he would resist in himself and in others that siren’s lure of empty fame, the lust to have one’s name attached to some cape or frozen sound. His journal would be his scientific Bible, his instruments his Redeemers. They would guide him through the dark. This review was first published on my blog, Consumed by Ink. You can find a short list of other reviews of the book, if you’re interested in reading more. Transit seems to be the most well-known book on the Giller shortlist this year. Yet it was the one I was least looking forward to. 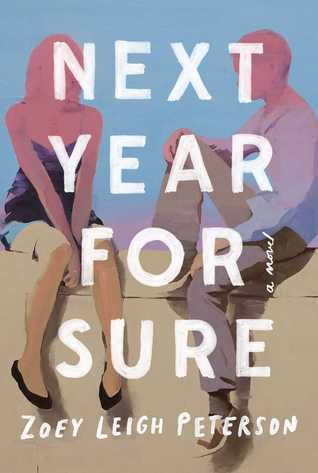 When I read Rachel Cusk’s Giller shortlisted novel Outline two years ago, I had a luke-warm response to it. In fact, I returned it to the library after reading only half the book. So when Transit made it onto the list this year, I felt a little… apprehensive. Well there is something to be said for low expectations, because I liked it. “Love” might be too strong a word, but “like” will do. So I asked myself : what’s different? (And I know I’m not the only one who didn’t get along with Outline.) I think my issue with Outline was that I couldn’t connect with the characters. I didn’t care about anyone in the book, so there was no reason to keep reading. The structure and style of writing in Transit is the same, but in Transit Faye is closer to home. The people she runs into and speaks to and shares stories about are closer to her own life. For this reason I think there is more opportunity to get to know her. Rachel Cusk is good at getting details right; the kind that make you think “Yes!”. For example, have you ever spoken back to the voice that is mysteriously or magically able to give you directions when you’re driving? A friend of mine, depressed in the wake of of his divorce, had recently admitted that he often felt moved to tears by the concern for his health and well-being expressed in the phraseology of adverts and food packaging, and by the automated voices on trains and buses, apparently anxious that he might miss his stop; he actually felt something akin to love, he said, for the female voice that guided him while he was driving his car, so much more devotedly than his wife ever had. In the interview at 49th Shelf, Cusk says that she is surprised “that there hasn’t been more awareness of its central theme, which is children and the false morality that is displayed in so many of our dealings with them. I think I would point to the last chapter of the novel as the expression of my own views about the true nature of responsibility.” I wouldn’t have picked up on that myself. To read my review in full, and find out what I thought of the book overall, please visit my blog.